We are excited about Wordsmithery’s commission from Medway’s new Paint The Town Festival. The Admiral’s Tea Party is a new site specific performance which will take its inspiration from aspects of Chatham’s heritage, commissioned for the Paint The Town Festival. Did you know that the Admiral of the Fleet (head honcho of the British navy) used to have a residence in the Lower Lines Park in Gillingham, Kent? And that he used to organise fabulous tea parties on the lawn there? Taking our inspiration from this fact, and from the nautical history of the area, we will be creating a new show to be performed at the Lower Lines Park on 24 June. We want stories and writing from local people to be part of the show! Playwright Sam Hall will be leading some creative writing workshops to help create the final piece. The first workshop will be held on Saturday 22nd April 2017 from 1- 3pm at Nucleus Arts Centre. Book here. There is also a second workshop on Wednesday 26 April, 2-5pm at the Brook Theatre. Book here. Join our Community Cast for our outdoor theatre performance exploring the history of Gillingham’s Lower Lines Park. The site specific show will be performed on the afternoon of Saturday 24 June. We currently need actors to be part of this exciting new production. Workshops dates to be confirmed, but if you are interested, please email us for further info. We are working with The Alexandra pub in Chatham to create a weekly Monday night of literary activities. These will include plays, poetry, workshops and drop-in writing sessions. The night will very much be a work in development; a chance for people to experiment and show off their potential. The first night will be on 28 July, 7-10pm, with Roundabout Sushi, a preview of the type of things we will be doing. Come along, see some highlights of the type of stuff we will be showing, and share your ideas. We would like you to get involved. Come along, listen, give feedback, try out your work, perform. Writers, actors, directors – if you would like to be involved, we would love to hear from you! Find us on Facebook: Roundabout Nights! 28 July: Roundabout Sushi – a taster of all the events we will be doing. 4 August: She Writes – script in hand reading of plays by women. 11 August: MEforum – bring your work in progress, your favourite book, and talk about them. If you have a writing problem, maybe we can help! We are putting together a new email newsletter which will detail monthly writing opportunities and news in Medway, and sometimes further afield in Kent (and maybe even that London). The first one is due out at the start of July, and depending on what’s going on each month – will pop into your in-box roughly once a month. Email us if you have anything you’d like us to mention. We would like to introduce ME4Writers’ latest project for the Rochester Literature Festival 2014. 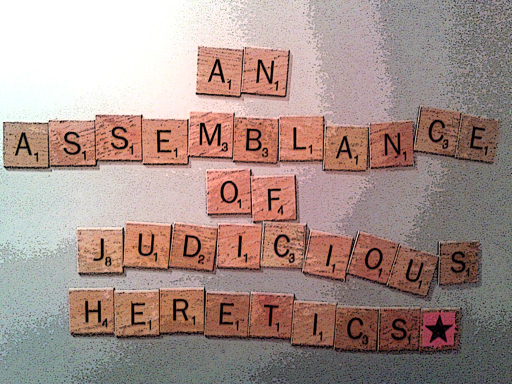 ‘An assemblance of judicious heretics’ is an open access collaborative project, fusing words and images from writers and artists from Medway and beyond. We have collected and commissioned our writer friends who have written us some brilliant poems/short stories/something else on the overall festival theme of ‘Mad, Bad and Dangerous to know’ and we are now in the process of assigning these words to artists. The project will be displayed as part of an exhibition at Rochester Library during September and October 2014 and we will also be holding a live literature event during the Rochester LitFest, where the writers will read their work. Further details to follow. If you are a writer or an artist and would like to get involved in the project, please email us. UPDATE* We have now closed for writing submissions, unless you have already contacted us and got an extension, but we are still open for art. We are delighted to announce that Wordsmithery (Barry and Sam Fentiman-Hall) will be part of ‘One Day Works’ in the run-up to the Fuse Festival this year. Wordsmithery will spend one day in the Kent Cultural Baton writing ‘Delta3.0’ a chain love letter to the river, a 30 stanza epic poem written in one day, about the 30 years since Chatham Dockyard closed. One Day Works is a series of one day experiments happening in the lead up to and during the Fuse festival in a series of locations across Medway, from urban high streets to country villages. The project will showcase ten of the finest of Medway’s Creative talents, across a range of art forms. The works also include sculptures made from found objects, archival collections, insect inspired costumes, drawings made from thread, an acoustic live music gig and a magic lantern performance. 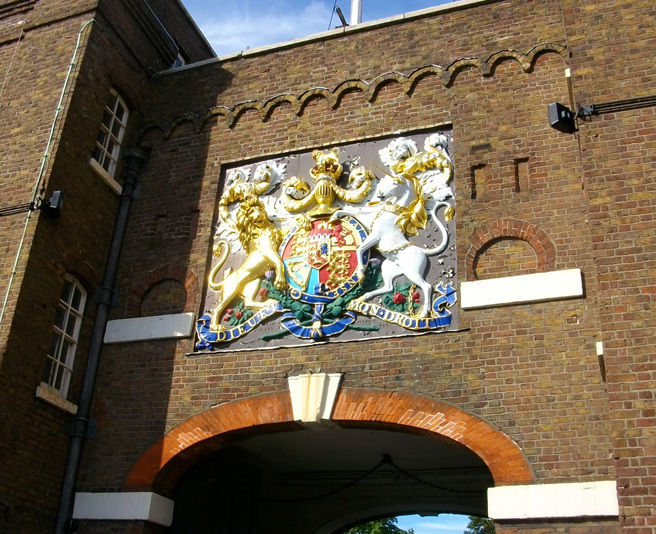 Wordsmithery will be located at the Historic Dockyard on 6 June 2014, where we will be writing our poem. Come along and say hello, and contribute a line, or a memory, or an idea to the poem! Tumble, rumble, the foundations fall. A bit like ‘poetry consequences’, each writer only sees the one line immediately before the line they write, so sometimes the poem goes in unexpected directions. Sometimes though, they work! 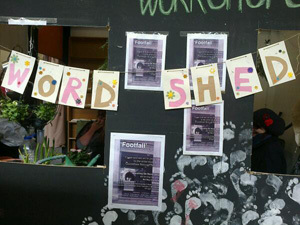 The next free workshop is being held in Gravesend market, in the Footfall project space, from 1.30-3.30pm on 10 May. 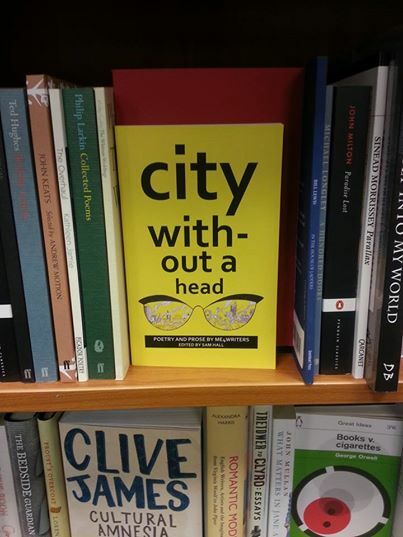 You can also now follow our City Without a Head blog – where we will be posting extracts and images from cities we visit.